I am back from a crazy Easter weekend, a book reading binge (the Hunger Games series- couldn’t put them down! ), and a brief stomach bug. And I bring you a MUCH overdue review of Speekee! Ever since my daughter was a baby I have had a desire to teach her Spanish. I started with basic colors and word lists found online. I even printed a couple Dora and Diego worksheets with the hopes of Boo learning Spanish! There was no professional strategy to her Spanish learning, just a bunch of thrown together ideas. Until I was asked to do a review for Speekee (I think this would be an appropriate place to say that they did give me a free two month subscription to their site). Speekee is a Spanish learning website for kids. They have 10 episodes of “Speekee TV” which is actually filmed in Spain (cool, right?). But it doesn’t end there. Speekee offers additional resource activities and an amazing teacher resource/planning guide that makes my educator heart sing! The teacher resource section is also known as the scheme of work. There are 10 units of comprehensive study that go right along with the episodes. Each unit has an overview where expectations are clearly defined and new vocabulary listed. I recommend using this resource along with the videos to enhance and enrich your child’s Spanish learning experience. Pros…. Educational, several different lessons based on children’s interests, good price point, easy to use and navigate the site. Best of all (in my opinion) is the teacher resource guide! A great planning tool to turn the 10 Speekee TV episodes into a comprehensive Spanish learning resource! Cons… Like all Spanish software there is an element of truly being immersed in the language and having social interaction that is missing. However those opportunities can be given to your child and integrated easily with your Speekee study. Also an iPad app would be cool to learn and watch movies on the go :). I would definitely recommend this site to anyone interested in teaching their child in Spanish! Heck, even I will be learning it right along with my kiddo! This entry was posted in review, spanish on April 12, 2012 by ktoponce. La Posada started this week. This is a Mexican holiday that started December 16th and is centered around the Nativity. I thought it would be a great way to throw in some holiday Spanish learning! Homemade Mexican dinner- it was delish! My husband made his first ever guacamole (which my daughter calls “bwack-a-woli” and was brave enough to try ONCE) I have the plainest of appetites and therefore was thrilled to see my daughter chowing away on chips with salsa and sour cream with her taco salad. After dinner, we got a surprise visit from Santa. 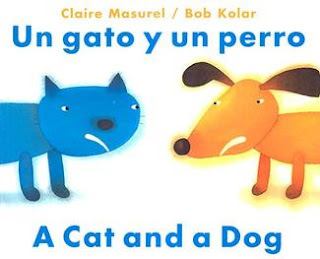 He doorbell ditched us and just happened to leave a very cute little bilingual book Un gato y un perro (A Cat and a Dog). I swear my daughter thinks Santa only gives books! Anyway, Santa just happened to let me know that this was another great deal found in the scholastic book orders. Smart shopper! This entry was posted in celebrations, spanish on December 19, 2010 by ktoponce. My daughter is a HUGE Dora fan. And thanks to Dora, she has picked up on additional Spanish that has required no effort on my part! One of these words is “arriba”. She used this word correctly in conversation at the dinner table one night. I was impressed! Not being a Spanish speaker (yet), I researched and found the word for down- “abajo”. I love that we are having fun while learning a second language together! This entry was posted in learningtime, spanish on September 1, 2010 by ktoponce. It was my goal this week to get my Boo’s curriculum posted for the year. 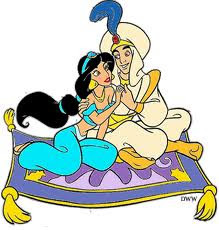 I wanted to give her a very flexible, well-balanced curriculum that will not only help her to progress but to allow her and I to spend some good quality time together!! The recurring thought through this whole planning process was how quickly time goes by and that each minute is precious with our kiddos. With that in mind, I didn’t want a curriculum that would require me to spend more time preparing for lessons and less time playing. With that being said, here it is! In all it’s glory!!! I have divided this section into 6 sections. I will write what each section is, the learning goals we plan to achieve, and the manipulatives we will be using to teach those concepts. I have two separate learning activities: one is our reading program (hooked on phonics garage sale special!) and the other is our literacy tray, which will be word play activities. There is so much to consider when teaching your child to read- what do you teach first, when is your child reading ready, which components of literacy should you be integrating into the reading program,… I have thought long and hard about this and I think we are just going to dive in head first and see what happens! I will be doing a week of alphabet sound segmenting. My daughter knows all the letter sounds, I just want to work with her on breaking down the sounds. I think that will help her understand reading more. But who knows- I feel like my daughter is more than ready to read- why should I hold her back because of my apprehensions? These little units will be chosen by my daughter. I think it is important for kids to have a say in their education, and it definitely helps if the topic matter is something that is interesting to her! I found a darling little science tool kit with all sorts of exploration tools for 1.50 at our local bookstore. I can’t wait to use it! An outline of the Spanish that we plan on learning… I want to be very flexible on what we do learn, and if she has questions about other Spanish words or we happen to hear new words in our community, then our curriculum will adapt! This was a toughy to plan. I feel like these scripture lessons need to be taught to my daughter in accordance with what she needs at the time. So there is no “set schedule”. but I do have some FHE ideas that I would like to use this year! An outline of some of the art materials we have… I think it would be fun to center the art around our exploration study, the season, or holidays that are coming up. I made two songs for my daughter’s little tikes piano. Once she has mastered that, I will move her to the real piano. Or who knows- I may start having her look for middle C now!! This entry was posted in learningtime, literacy, math, spanish and tagged curriculummapping on August 29, 2010 by ktoponce.